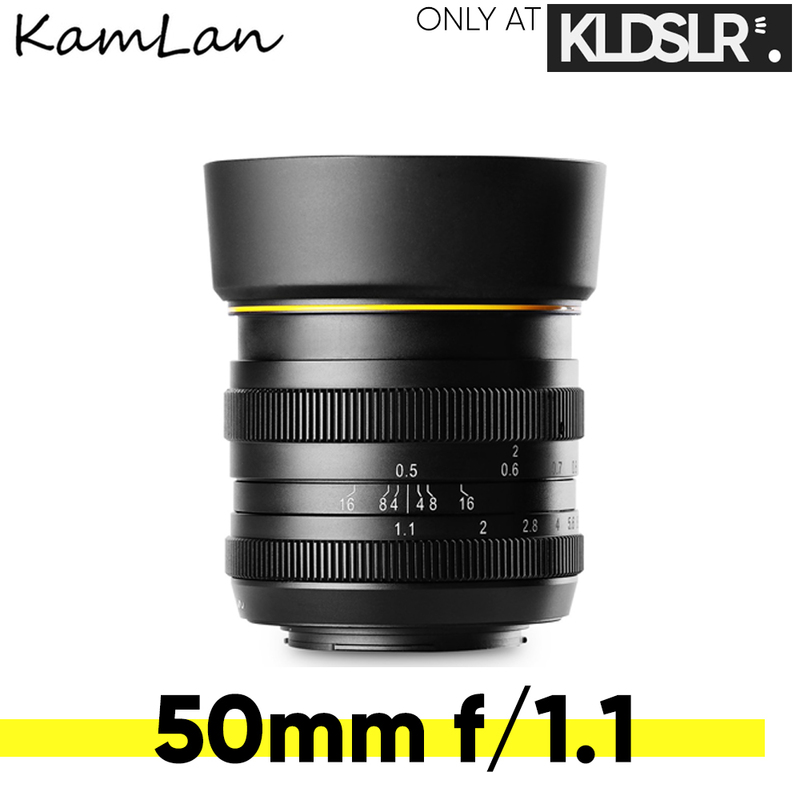 The Kamlan 50mm f/1.1 manual focus lens is designed for mirrorless camera, with sensors as big as APS-C, which delivers top grade image quality, regardless of weak lighting conditions. This lens provides a bright F1.1 aperture at fixed focal lengths 50mm, equivalent to 135 full frame is 75mm(@APS-C), 100mm(@M4/3). The extremely shallow depth of field at open aperture produces portraits and detailed studies of unequalled aesthetic effect. It also provides outstanding fast and accurate shutter speed by achieving great amount of light.